Is Motorbike Worth More Than a Self-Respect? 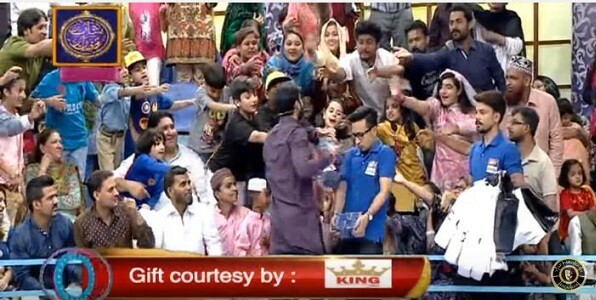 The concept of game shows is not alien for Pakistani TV audience. When we speak about game shows, the one name that immediately comes to our mind is of Neelam Ghar. I don’t think there is any Pakistani (excluding the younger generation) who would not say that Neelam Ghar was a part of their TV watching routine. During my childhood when we only had PTV, Neelam Ghar used to be one such show that my entire family used to watch together. 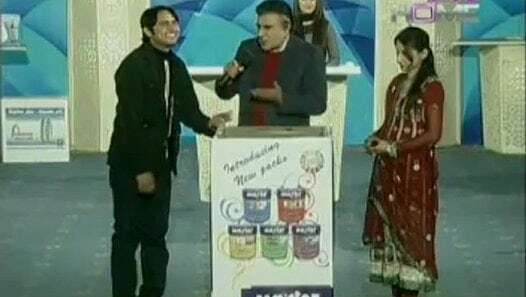 While talking about game shows, I am kind of compelled to draw a comparison because no one can deny the fact that Neelam Ghar & the legendary Sir Tariq Aziz set the precedent for the game shows & also for the game show hosts. I do understand that the times have changed, people have changed, our audiences have changed, their standards have changed, in short, everything has changed, but one thing that I fail to comprehend is how have basic things like self-respect & dignity changed as well? Human nature remains the same irrespective of the era that you belong to, so every time I see people stooping to ultimate lows to grab a Q-Mobile or Bike, I am left wondering what went wrong & especially where did things go wrong for people to come to this level where they don’t mind ‘begging’ on national TV for smallest of things? 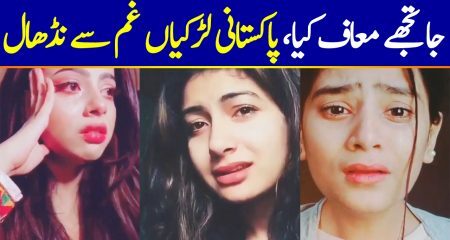 I had a misfortune of following a few episodes of Jeeto Pakistan as they were recommended to me by YouTube, so while doing some household chores, I tuned to it as I needed some background noise & to be honest I was shocked, like I can not even explain how I was shaking my head in disbelief at what I was watching. 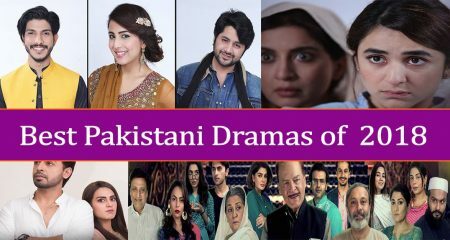 I know a lot of people are going to disagree with me when I will compare today’s Jeeto Pakistan with yesterday’s Neelam Ghar but then again, don’t blame me for drawing a comparison because the fact is, all these shows were/are designed to giveaway things to the audience & to engage them in certain activities for the sake of entertainment, but sadly, the graph & the standard just deteriorated in stead of improving. Also, comparisons might give people a wrong impression that I am trying to bring down the legend & his work by comparing it to some cheap counterparts of today but that is clearly not my intention & I am sure I will put forth my point clearly for you all to understand. 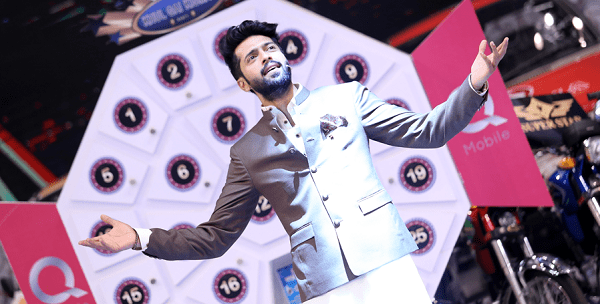 Since I have only watched Jeeto Pakistan this year as I seriously don’t have the energy to watch any other game shows, I will be strictly talking about Fahad Mustafa & his show Jeeto Pakistan. Let’s take a look at what our game shows & game show hosts used to be & sadly what they have turned into now! 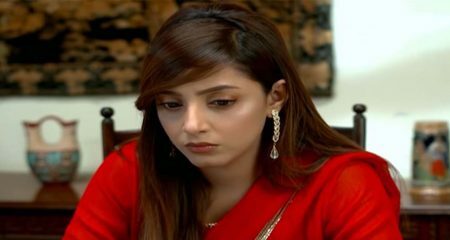 I remember when I was just a child & I would watch Neelam Ghar, I don’t remember picking one such word or terminology or any such thing from that show that would be counted as something ‘bad’, like usually how it happens with the kids, since they are impressionable, they tend to grasp a lot. I am talking about it in a sense that even though I have a faint memory of that show, what I clearly remember is that I never ever saw Sir Tariq Aziz demeaning, degrading or openly insulting his audience. The usage of honorifics not only showed the caliber of Sir Tariq Aziz but it also showed his true nature where he believed in respecting those regular people who used to grace his show with their presence. Even though I don’t remember a bit too clearly but what I can recall is how the females used to be treated by Sir Tariq Aziz with utmost respect & how he would use words like ‘mohtarma’, ‘meri behan’, just showcasing that women are worthy of being respected. I remember being under 10 years of age when I used to watch Neelam Ghar but just imagine the impression it left on me where I till this day, still remember what that show used to be like & what it offered. 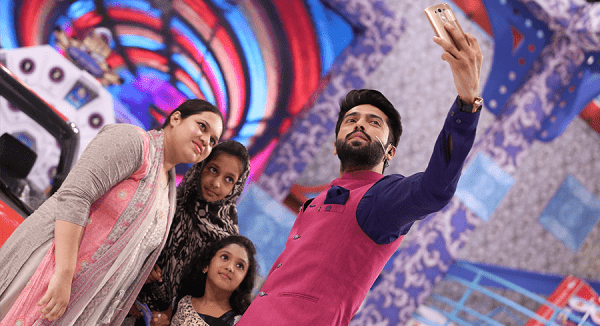 To be honest, when I was in Middle East a couple of years ago & we had an access to the channel, plus considering the time difference between Pakistan & Oman was of only 1 hour, we would switch the TV on after Iftaar, that was the time when I first time watched Fahad’s show & saw his hosting, I thought he was still doing a decent job comparatively, since that was the time when Amir Liaqat’s barbarianism was at its peak (not that it has lessened over these years), so I thought Fahad was actually projecting himself as an educated person, but this time around, I was shocked to see that the impression I had of Fahad was ruined by no one else but Fahad himself. I saw Fahad speaking to people like ‘abay’, ‘tu’, ‘chal’ & stuff like that which actually made me cringe so hard. Yes, I do understand since Fahad has become everyone’s Biological/Sagga Fahad Bhai as he distributes bikes & mobiles that our awaam is so bhooki for, he tries to be candid with everyone but there is always a thin line in coming across as rude or friendly & honestly speaking, what Fahad says or does only showcases his arrogance that he has attained due to the high ratings that his show gets & he brags about. 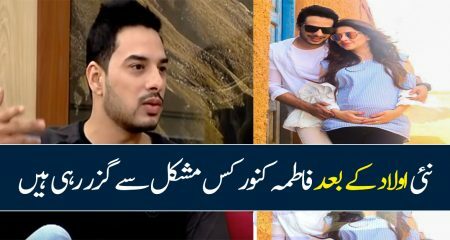 I understand that Fahad can not be all formal with the people & he has his own style but then again, no one in any day or age has the right to insult people by covering it under the veil of ‘friendliness of a bhai‘. I just spoke about how Sir Tariq Aziz used to treat women in his shows & honestly speaking the thing that makes my blood boil while watching Jeeto Pakistan is how Fahad Mustafa bodyshames women so openly & so inhumanely. Bodyshaming of any gender is not allowed but considering he speaks to women like that the most, I think it is fair to remind him that women can go through a lot of changes throughout the years & they can have a lot of health/hormonal issues, so not every other woman carries a lot of weight because she wishes to, but may be because she can have some problems which lead to the weight gain, so how can he comment so casually on that? I couldn’t believe my eyes when I saw a segment in which Fahad Mustafa calls & I quote ‘moti moti taazi taazi auntiyaan’, weighs them in, makes fun of their weight & then compensates then with a free bike & a bike ride. 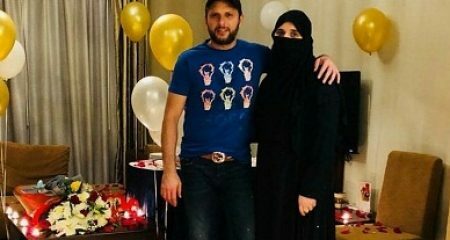 Forget about the segment, even if generally a healthy woman comes to the stage to play a game or open the luck box, Fahad Mustafa never ever leaves the opportunity to comment on their weight, make up or overall personality as if he has been given the right to bodyshame people just because he is everyone’s Bhai? 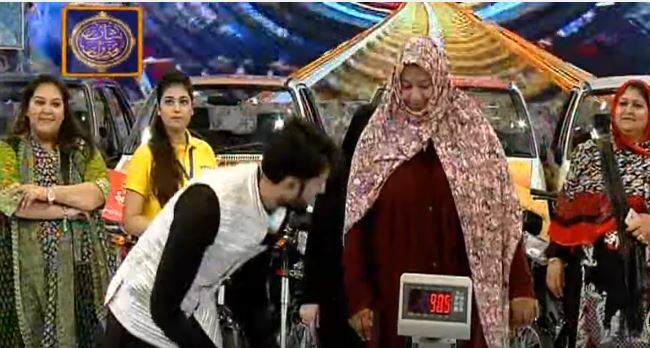 There was this healthy woman who came to the stage & her name was Nagina, the moment Fahad saw her coming he was like ‘bohat mota nagina hai’ & then later challenged her about her weight where she said she weighs around 85kgs but Fahad was persistent that she weighed more than that & if she wouldn’t he’ll give her 3 bikes!?!?! 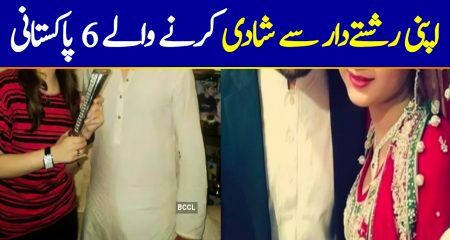 I saw this young boy come to the stage with his mother to play some game & Fahad couldn’t stop commenting on his dusky complexion by saying that I am going to give you whitening injections? While going through Fahad’s Celebrity Profile on Reviewit, I found out that he is a Ph.D in Chemistry, like we are talking about some seriously high qualification here, so to see someone so educated & literate speaking to people like that does make one wonder if he wasted all these years of his life because his education couldn’t teach him basic manners? Yes, it is a fact that Fahad has a huge fan following & he is loved by a lot of people but that doesn’t give him the right to insult people because they come to his show & give him high ratings. I will however appreciate some of the things that I noticed, where Fahad after getting 1 Lac Rupees in a bag gave it away to an elderly woman. It is also appreciable how he gives away Umrah Tickets/Packages to the kids. There was this humble gardener who came & asked for Umrah tickets, so Fahad gave him 2 of those for him & his wife. Also, there was this little boy who came with his father & he wasn’t blessed with the sense of vision, so Fahad gave him & his parents an Umrah Package too. Yes, I will give credit where it is due but then the overall personality & behavior overshadow all these good things that he does. I think I have drawn a good comparison between the hosts, now let’s talk about the general public because they are the ones who give ratings to these shows, so does this mean they are ready to put up with everything as far as it guarantees them a free bike? When it came to getting freebies, I remember in Neelam Ghar there used to be a merit always, like every single time people won something, it would be based on some sort of contribution from their side. Contribution could even mean having an electricity bill in your pocket or having nail clippers in your hand bags & then it would go on to general knowledge segment as well. I don’t remember even a single person from the audience asking Sir Tariq Aziz for a freebie/favor just like that. I am not sure how to put it but if I look back & if I look at the audience of today, does this mean people don’t have humility anymore? Does this mean people from the yesteryears had a lot of self-respect & dignity? Does this mean people back then had more pride? Or does this mean people these days are ready to put up with everything as far as it guarantees them motor bikes? I must say I remember people being overjoyed even if they won SuperAsia’s Washing Machines or Water Coolers in Neelam Ghar because they didn’t have this sense of nadeeda-pan where they came with a pre-set mind that they had to win a specific thing for them to be happy but the race these days is just ridiculous. I blame the channels for instilling this idea in the people where they have grown completely comfortable with begging. I remember a couple of years back I would see people drooling over Q-Mobile as if their life depended on it & they wouldn’t settle on Jam-e-Shireen or Dalda Cooking Oil. Moving forward to this year, the same thing is happening now but the standards have changed & everyone’s life is depending on Motorbikes? It is actually quite amusing how winning LED TVs, Generators, Refrigerators, Washing Machines, Toasters, Juicers literally make people go mad & they carry such an expression on their faces as if someone stabbed them in their guts, but the moment Fahad announces that they won a bike, the same person who would be posing to be on his death bed a couple of seconds ago would all of a sudden gain this energy where he could even beat Usain Bolt. It is amusing how the channels have literally fed the greed of the audience to such an extent where now winning Q-Mobile only brings a tight-lipped smile on people’s faces & they only come with in intent of winning a car or motorbike! I just spoke about having some sort of a merit, it would’ve been so good if we saw people winning something over by doing something to earn it, yes, some people do answer the questions that are asked, some people play games, some people show their strength to win something but almost 80% people come with their hands spread & tongues hanging out because they think begging is the way to go. I couldn’t believe my eyes when I saw this girl, who was wearing a nice dress, enough to show that she didn’t come from a financially unstable background, asking Fahad for a cycle for her daughter & when Fahad granted her wish, she then wanted a Tablet for her daughter too!?! I actually feel disgusted when I see kids asking for favors because they have been taught by their parents to do that? This year I noticed this new trend where women (wives, daughters, sisters) would come & ask for bike for the grown up men & cycles for the younger ones of their family? The amount of screaming that they do when they win a bike is ridiculous like seriously, such happiness over what, just a bike? Also, it does come down to a personal choice but I don’t really get how & why do women clad in Abayas & Naqaabs sit behind Fahad for a free ride while holding onto his shoulders? Can someone tell them that they are defying the basics right there? No matter what, I am not trying to be preachy but this show airs around 7:30PM, right after Iftaar & goes till 10PM I believe, so doesn’t this mean that all those people are missing their obligatory prayers to be in this show & what about Taraveehs? The way women literally flock around Fahad for the sake of petty selfies is also quite amusing plus not to be forgotten, how they are shoved aside by the volunteers, it literally feels like you’re watching a live circus. 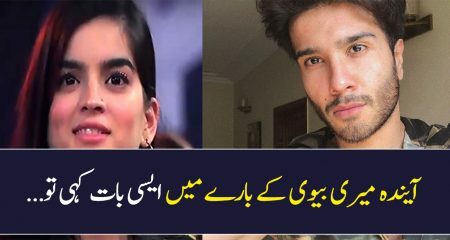 I remember when I watched the episode for the first time, I saw Fabiha Sherazi, the volunteer of Jeeto Pakistan, I won’t lie, she caught my eye, I did look at her & thought she’s pretty & that’s about it, but later I got to know that she has become this new so-called sensation where people are going gaga over her? 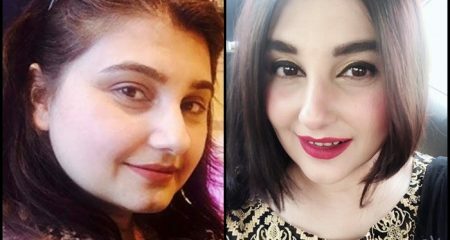 Like what for only because she is pretty & is fair (reminds me of Momina Mustehsan)? I remember there used to be volunteers in Neelam Ghar too, yes since people back then were civil they didn’t have to do so much of running & manhandling at times like the volunteers of Jeeto Pakistan have to do, but we shouldn’t forget that it is a Ramadan Transmission, so not sure why their female volunteers can not be dressed in kurtas or Eastern outfits? 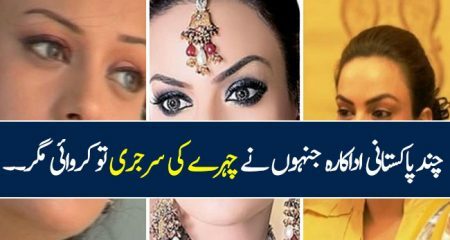 Yes, their job does require them to be on their toes but then again, I don’t see the need of presenting them as models in a Ramadan game show! Speaking of merit, the merit these days is coming up with best excuses or stories to open a window to ‘win’ something or fetch a ‘beg’. I heard this aunt on the phone telling how her daughter was physically challenged & how she was an avid watcher of Fahad’s show & the next thing she said was ‘mujhe mere betay ke liye bike chahiye’ to which even Fahad unconsciously went like ‘hain?’ because no one would be able to grasp the fact that someone would open up about their helplessness with an intent of getting a bike. The funniest thing that I came across in this show was a woman showing her 3 – 4 y/o son & telling Fahad that he was born on 14th August so Fahad should give her a bike? 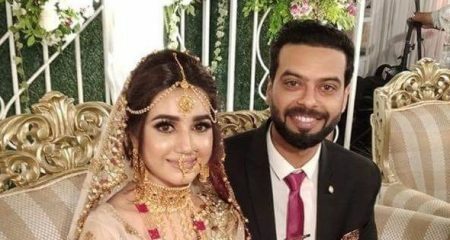 Even though Fahad gave her a bike later but the moment he heard her, he was like ‘is mai kya bari baat hai ke bacha 14 August ko paida hua hai’. 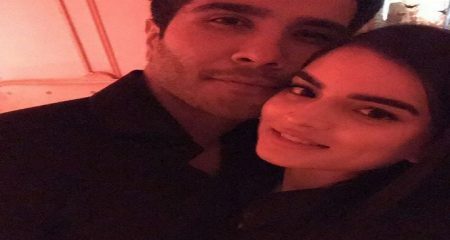 I hate to say this & even though I am not giving Fahad a clean chit but I feel people themselves have pushed the hosts these days to mistreat them because no one would dare to treat you like a doormat if you will show some pride & dignity yourself & if you conduct yourself respectfully first. Boys/Men these days ask for bikes for their fathers in law, diamond rings for their mothers & wives & I am talking about such men who do look healthy & fit enough to be able to make money for these things themselves. 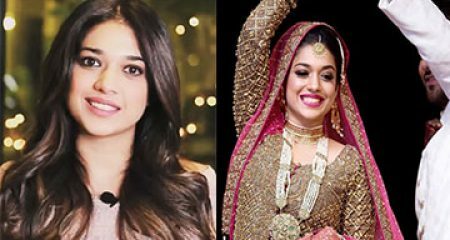 A woman comes, shows her 3 daughters & asks Fahad for 3 diamond rings? I just don’t get how & what gives these people this much of confidence to be asking rather begging for things so casually? Even though I don’t want to but seeing the level of greediness, I am forced to use the word ‘begging’ because honestly speaking, this is what it looks like these days. I spoke about bodyshaming but seeing how women put up with it just because they know that they will be compensated for all these insults with a bike makes me cringe so hard. 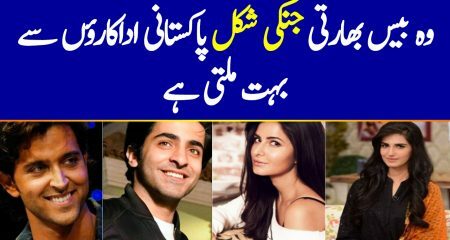 I just can not blame Fahad Mustafa alone for his atrocious behavior, it is actually a result of all these people putting up with those slurs because they have become so immune to the fact that by the end of it, they won’t go empty handed. In Fahad’s show there’s some siren that goes off which indicates that he will now walk around the audience handing over freebies without asking any questions & the way people turn into hooligans to grab free stuff leaves such a bad taste in mouth. What happened to earning something with some hard work? What happened to winning something by showing that you’ve got something? I think an ideal situation would be where people will only get things if they will fulfill a certain criteria, like if they actually win something by showing strength, wit or luck. This trend definitely needs to stop where people just bag freebies because they spread their hands in front of the host. This entire trend has turned people into beggars where they don’t feel any shame in asking for stuff randomly. It is annoying to see how channels are feeding this greed & making it even more powerful where it gets the better of people as we can see that it started off with Q-Mobiles & now for the time being it has settled on Motorbikes. I am sure it is only a matter of couple of years where people won’t even settle on Motorbikes & would be asking for Cars or Airplanes. The hosts also need to learn better because there is a difference in being a ‘bhai’ or being ‘badtameez’.